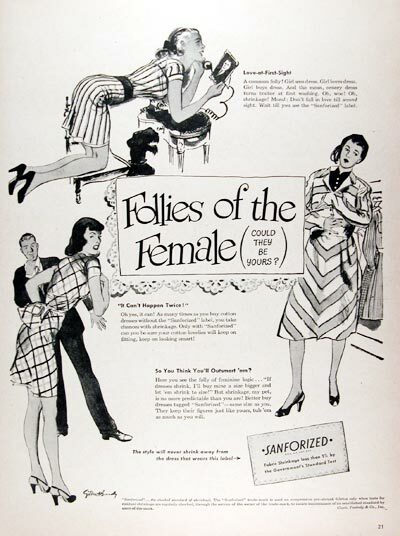 1947 Sanforized Fashions original vintage advertisement. Follies of the Female. Don't take chances with shrinkage. Only with Sanforized can you be sure your cotton lovlies will keep on fitting, keep on looking smart!